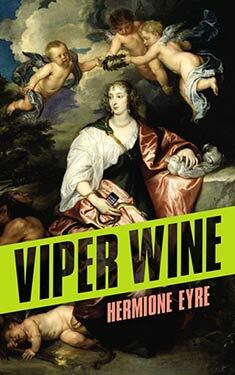 If you liked Viper Wine you might like these books. Venetia Stanley was the great beauty of her day, so dazzling she inspired Ben Jonson to poetry and Van Dyck to painting. But now she is married, the adoration to which she has become accustomed has curdled to scrutiny, and she fears her powers are waning. Her devoted husband, Sir Kenelm Digby--explorer, diplomat, philosopher, alchemist-- refuses to prepare a beauty tonic for her, insisting on her continued perfection. Venetia, growing desperate, secretly engages an apothecary to sell her "viper wine"--a strange potion said to bolster the blood and invigorate the skin. The results are instant, glorious, and addictive, and soon the ladies of the court of Charles I are looking unnaturally youthful. But there is a terrible price to be paid, as science clashes with magic, puritans rebel against the decadent monarchy, and England slides into civil war. Based on real events and written with anachronistic verve, Viper Wine is an intoxicating brew of love, longing and vanity, where the 17th and 21st centuries mix and mingle in the most enchanting and mind-bending ways.